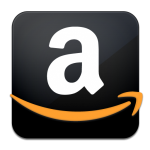 ← Guest blog: A Wandering Ramble By Michael R. Fletcher, author of Beyond Redemption. The master of alternative history is back with his latest revisionary tale: Bombs Away, where he imagines a very different Korean War. As history buffs already know, the Korean War was fought during a sliver of time where both the US and USSR had atomic weapons, but before the hydrogen bomb (aka thermonuclear bomb or “nuke”) was successfully completed. So it was a very real threat that the two super powers could fight a conventional WW II-style war over Korea where vintage WW II bombers would be the delivery system for the less powerful atomics like those which devastated Hiroshima and Nagasaki. Thankfully, in our reality, cooler heads prevailed and the war did not escalate outside of the Korean Peninsula, but in this book, President Harry Truman gives General Douglas MacArthur the go ahead to bomb China with atomic weapons, wrongfully believing that Stalin will never dare to retaliate against the US and its allies. 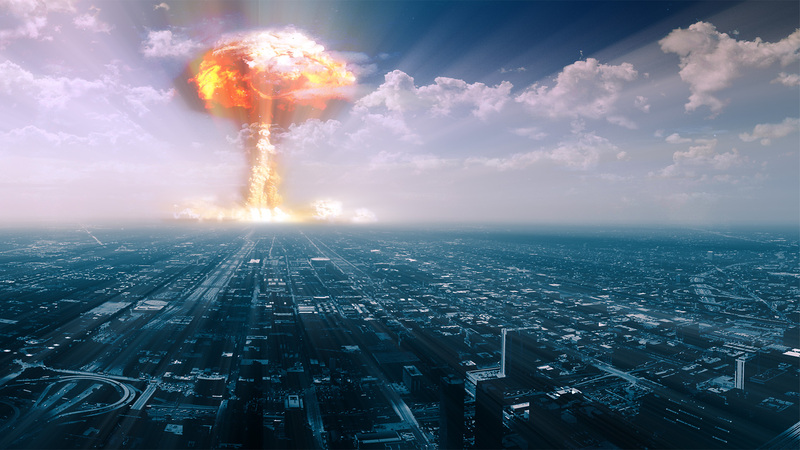 What follows after the US drops the first atomic bomb is the inevitable escalation of hostilities around the world between the US and its allies and the USSR and its allies. Each side scorching the earth with both conventional weapons of war, and dozens upon dozens of low yield atomic bombs that send the major cities up into flames. Neither Stalin nor Truman willing to back down, and so the horrible destruction of civilization continues to escalate. Like all Turtledove novels, this one uses the TFD (Turtledove formulaic doctrine.) What is that you ask? Well, let me tell you. Basically, the “TFD” is the author’s finely honed and rarely varied story telling method, whereby the narrative moves along with successive snapshot glimpses of a mixed cast of characters from all over the world, who are largely ordinary people caught in the crossfire of a war they do not want. None of these characters are very well developed; they can die at any time; and their main purpose seems to be in giving a brief view of the situation at different locals. None of the locals themselves developed above a rudimentary level, because all that is needed is an idea that this person is in West Germany; this soldier is in Korea; or this nuclear strike survivor is in Seattle, Washington. 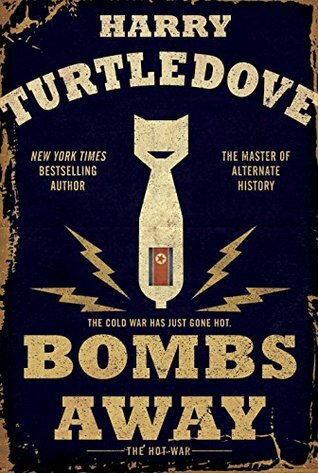 Like all Turtledove novels, what is absolutely amazing in Bombs Away is the unique historical premise, which tweaks our past ever so slightly to create an intense story. Sure, this new history is depressing. Yeah, it probably will ruin your opinion of humanity in general. Hell, it might even make you realize how limited your historical knowledge really is. But, no matter all that the story is well-thought out and realistically portrayed, delivering a Korean War that I personally could never have envisioned. Now, what is absolutely not amazing in Bombs Away is the total lack of any characters to become invested in. Something that seems odd for me to say, considering there are dozens of main characters whose life we jump in and out of, but due to the brief time we spend with them, no one really pops off the page. In fact, there really isn’t anyone to rout for at all. Rather the book feels like a parade of survivor stories; each episode showing our survivor attempting to get through another day in a world gone hellish wrong. This one is getting ready for a bombing run. That one is commanding a tank. The lady over there survived a nuclear attack and is living in a refuge camp. The Russian guy speaking Chinese is trying to make a living and stay out of harms way. And anyone of these individuals can be killed at any time for no real reason. I know that is very realistic, exactly how warfare is, but if you’re a reader who likes characters to become invested in, then this novel really disappoints in that regard. Now, I’m a long time fan of Mr. Turtledove. (I first began reading him in the 1980s when he published his Videssos Cycle fantasy series.) So I am familiar with his writing style and have seen it work beautifully and not so beautifully, and I have to say Bombs Away is somewhere in the middle. It has an intriguing premise, an eye opening look at the aftermath of limited atomic warfare, and enough viewpoints to tell the story from most angles. What it lacks, however, is any characters to really connect with and rout for. Would I recommend this novel? If you’re a fellow alternate history lover, who finds most of their reading enjoyment from close-to-reality worldbuilding, then absolutely. If that description isn’t you, then my answer would be no. This entry was posted in 3 Stars, Alternative History and tagged alternate history Korean War, alternative history series, Bombs Away, Harry Turtledove, The Hot War. Bookmark the permalink. The Videssos series are actually pretty entertaining. I like Byzantine history though. though, because as you follow along behind these poor people you will probably keep thinking how could intelligent people do this to each other and to the world.